Info Minister of Agriculture under Prime Minister Thaksin Shinawatra until the September 19, 2006 coup d'état. 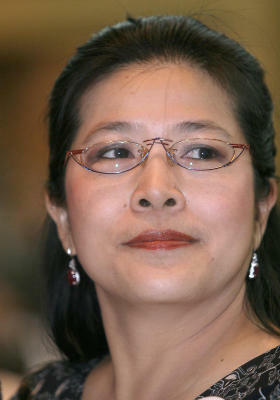 Sudarat was second-in-command (Deputy Leader) of Thaksin's Thai Rak Thai Party during the 2006 Thai elections (since annulled) which won 61% of the popular vote. Banned by the ruling junta for five years from political activities, she has become the de facto leader of the opposition and the 'Thaksin faction' in elections planned for 2019, winning the backing of the Pheu Thai Party (founded by Thaksin) on 2/3/2019.